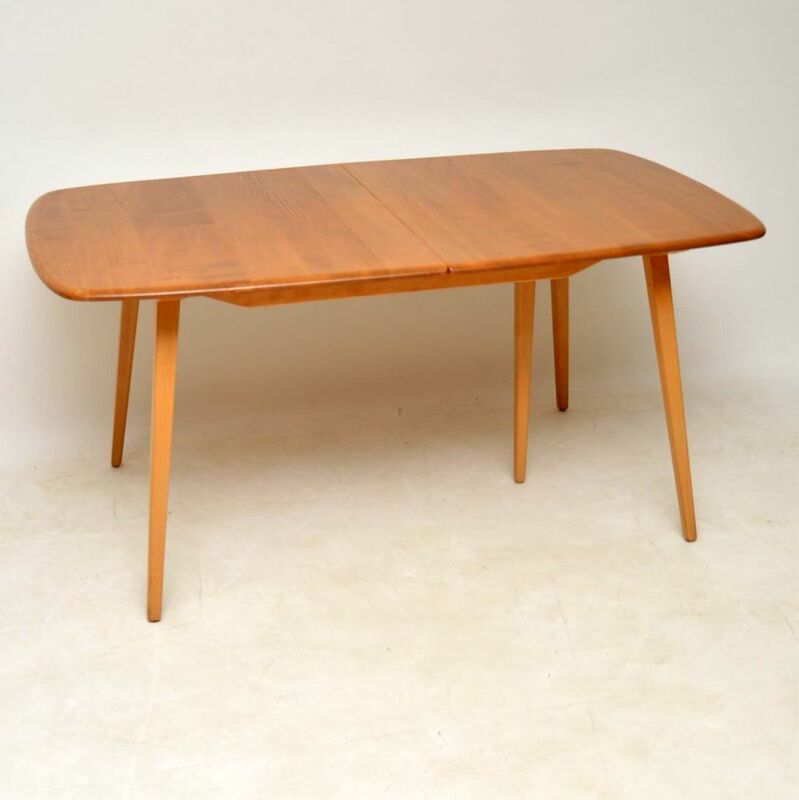 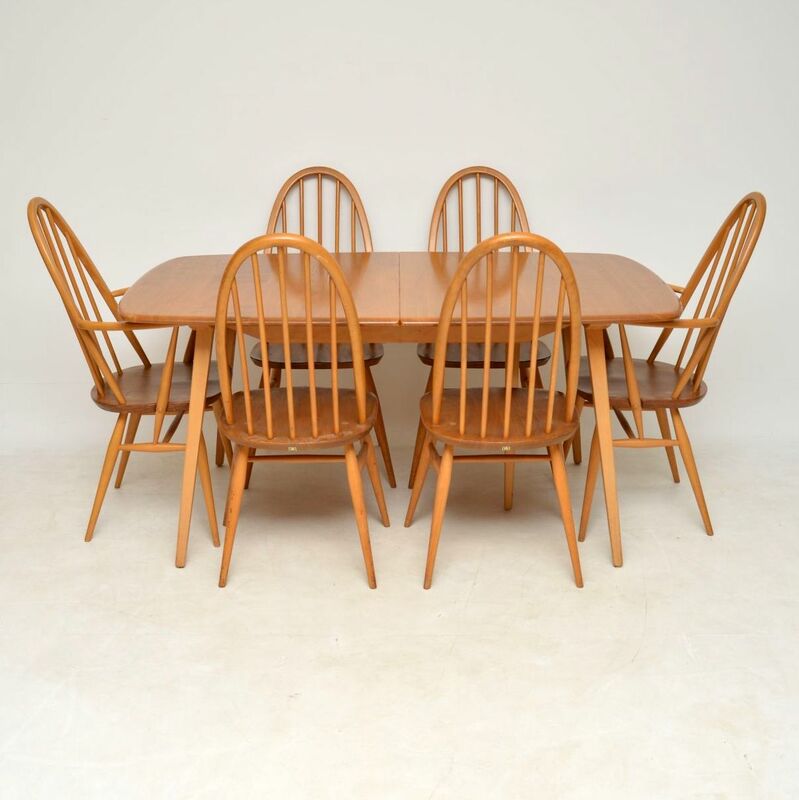 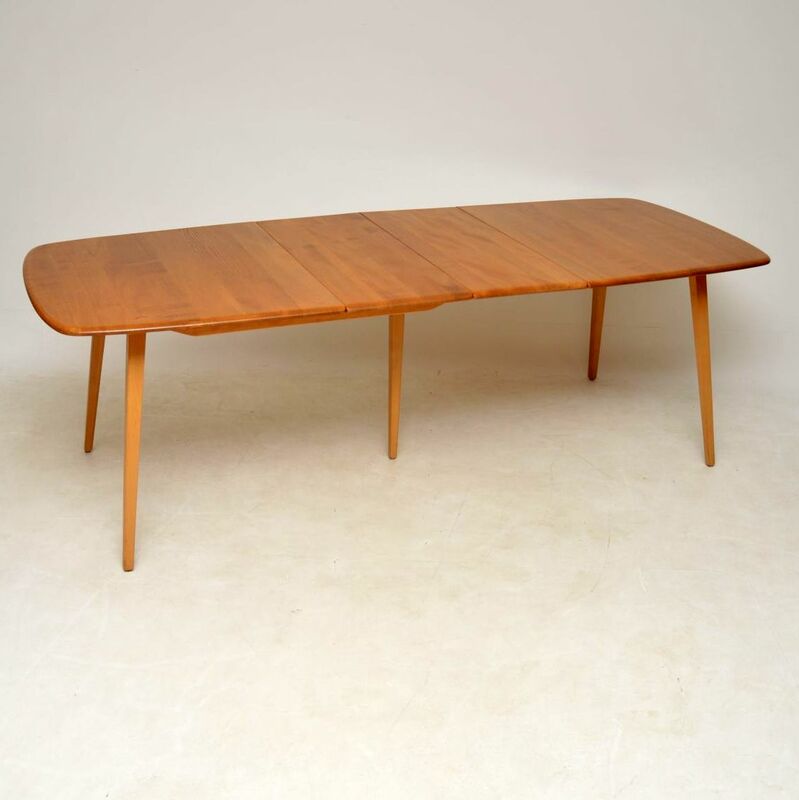 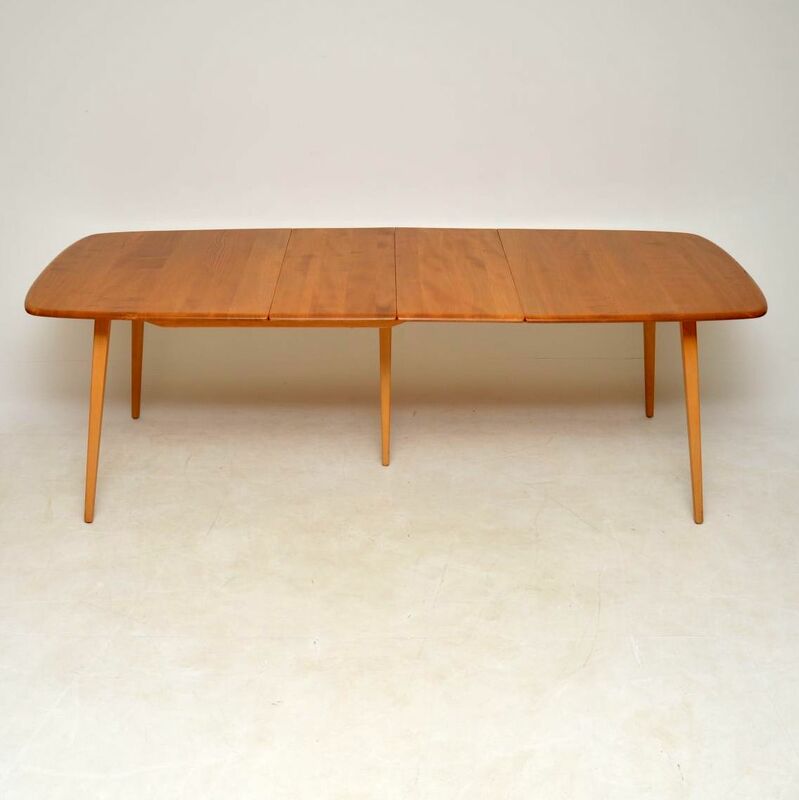 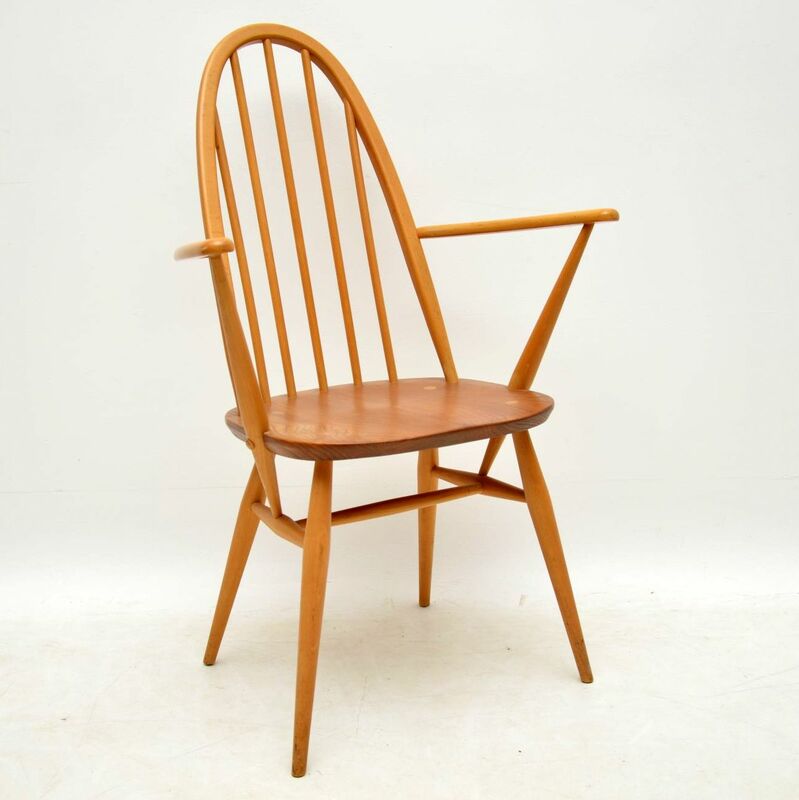 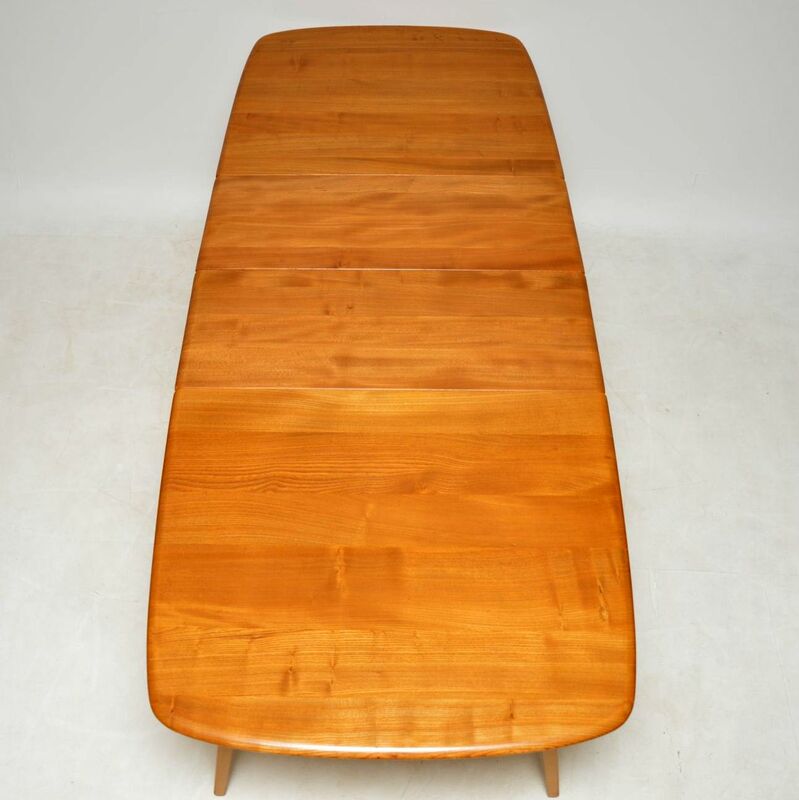 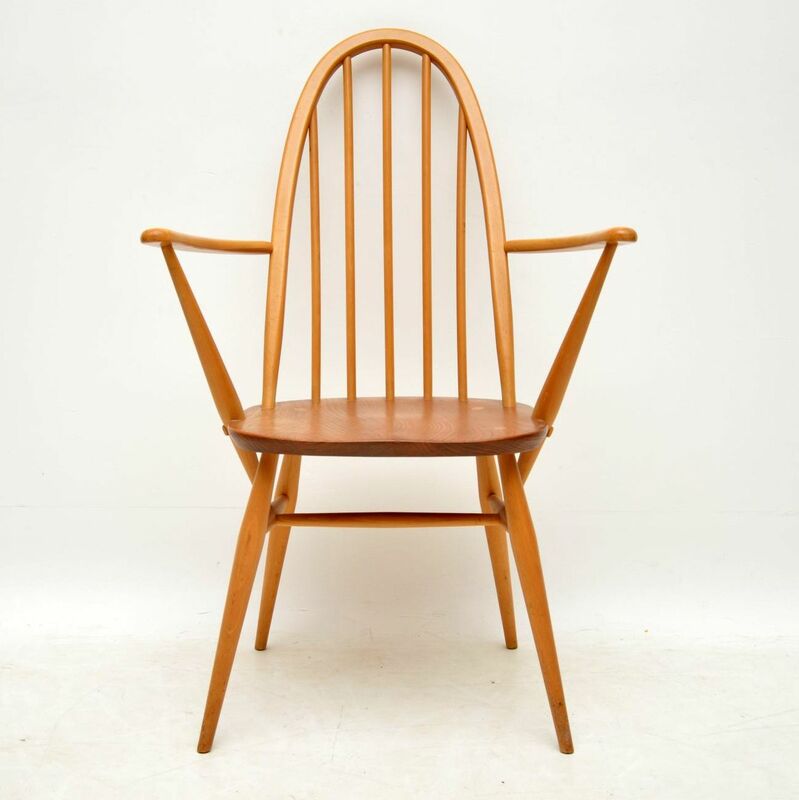 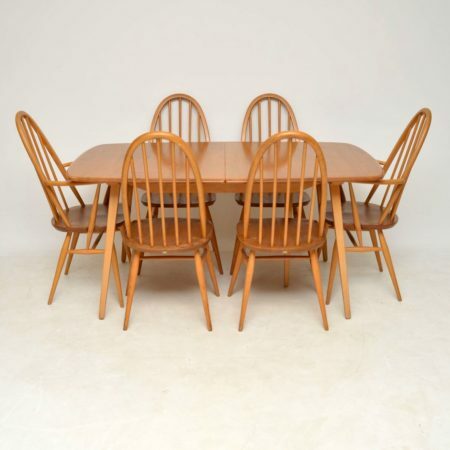 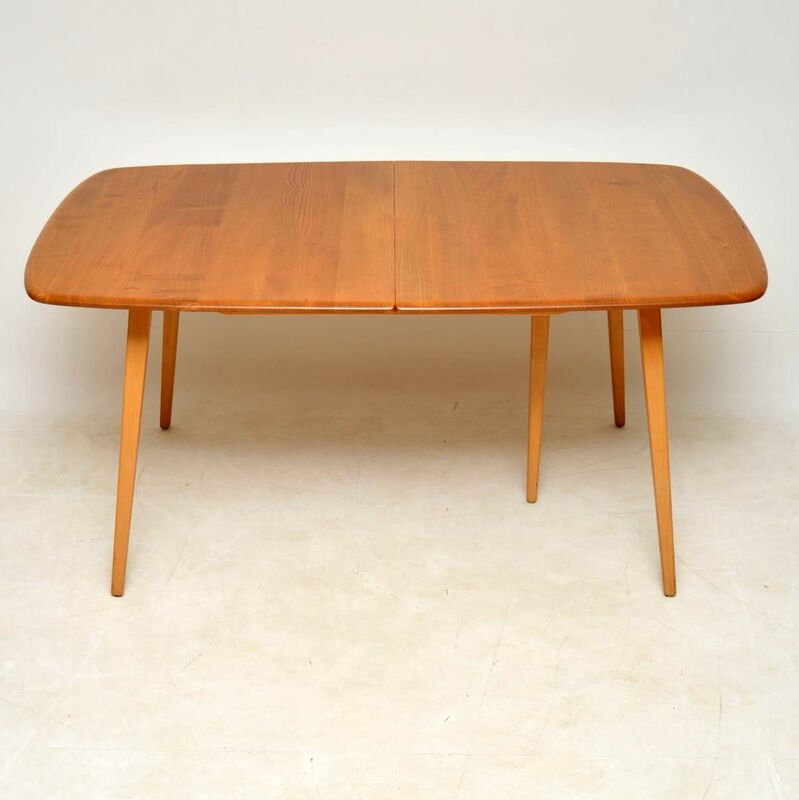 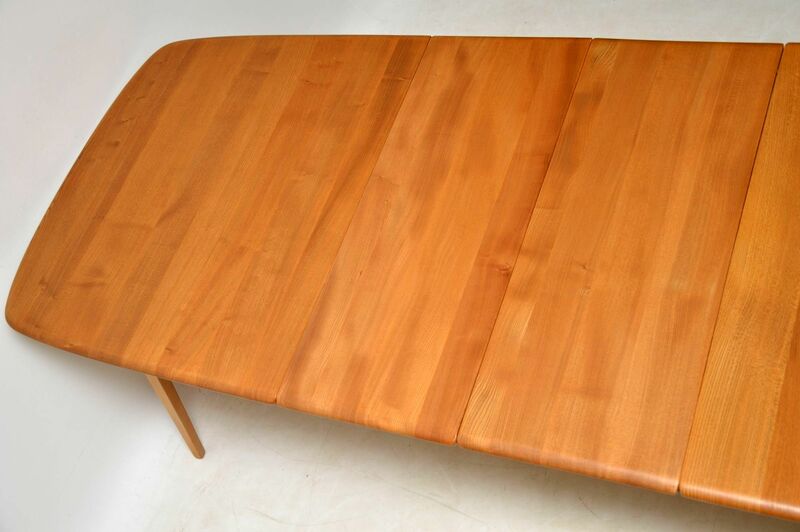 A stunning and top quality dining suite by Ercol, this dates from around the 1960-70’s. 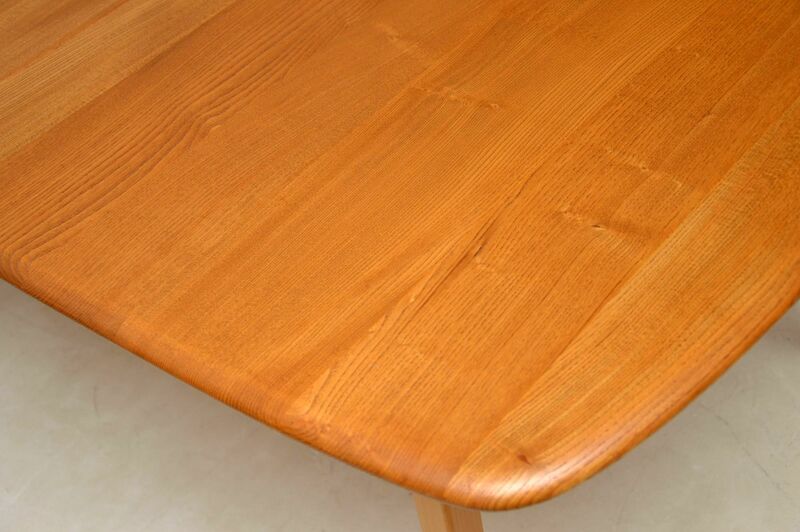 It’s a beautiful blonde colour, all is in superb condition with only some extremely minor wear here and there. 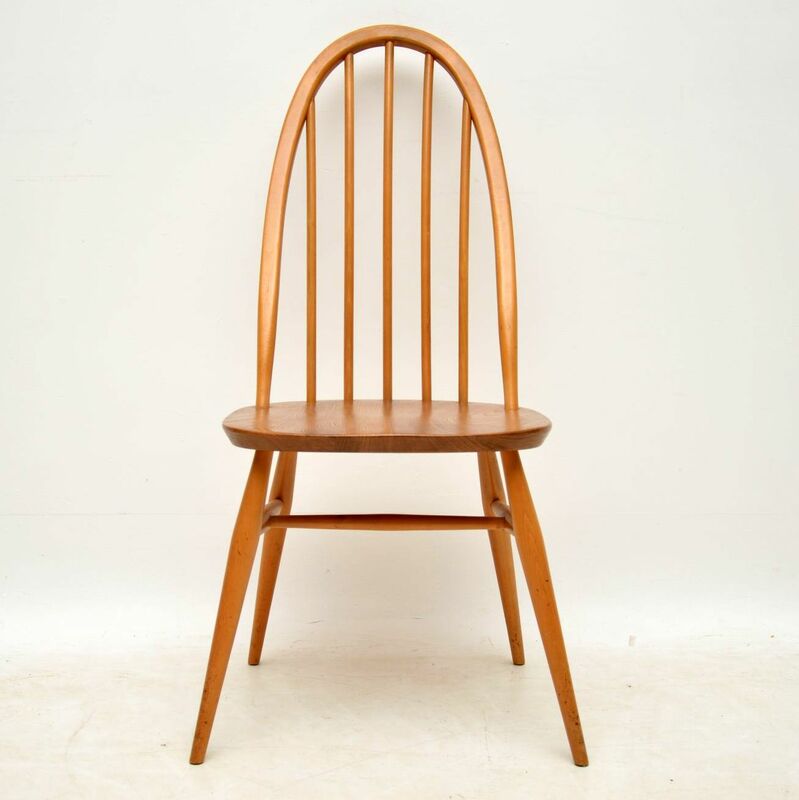 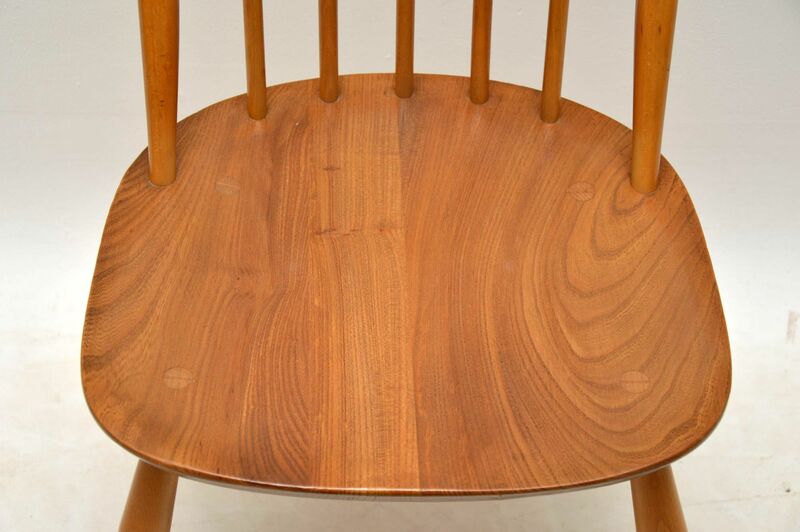 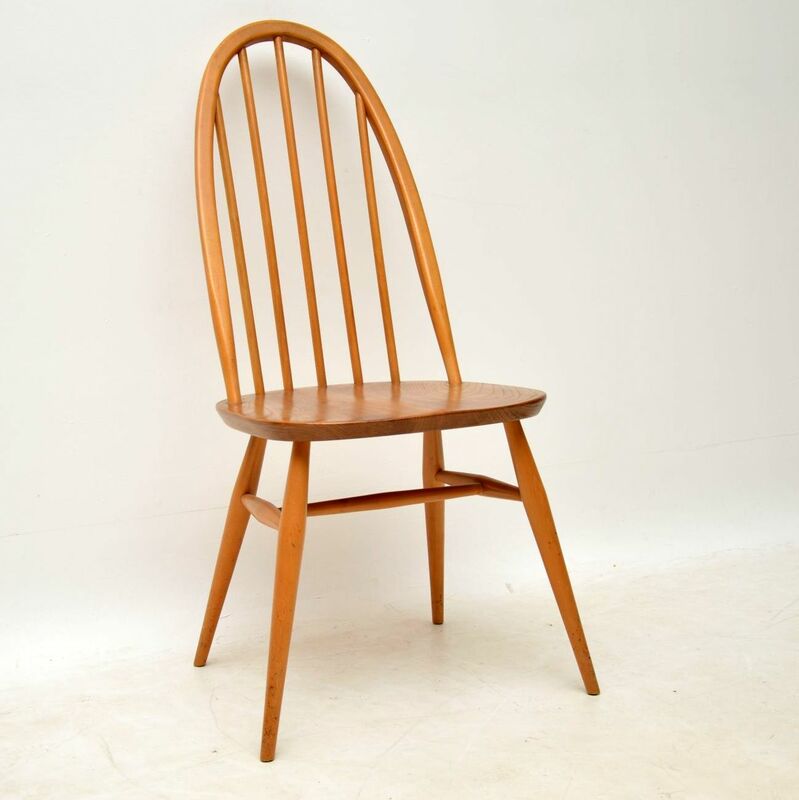 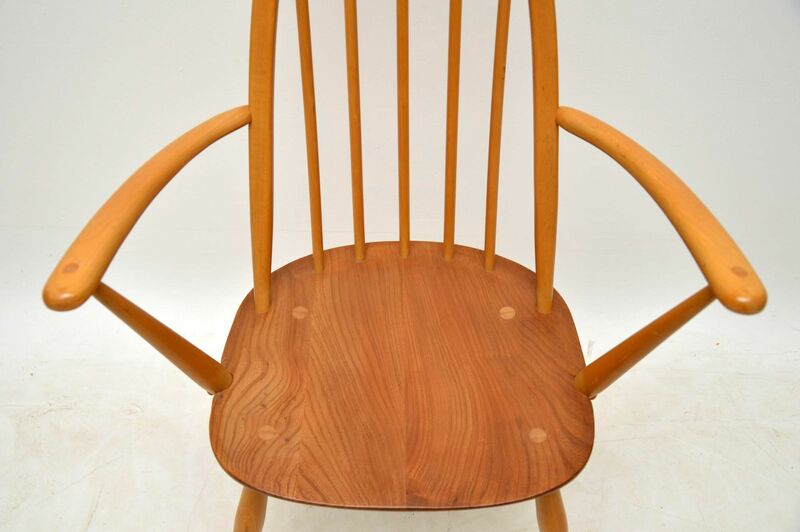 The elm grain patterns are stunning throughout, all the chairs and the table are solid and sturdy with no wobbles. 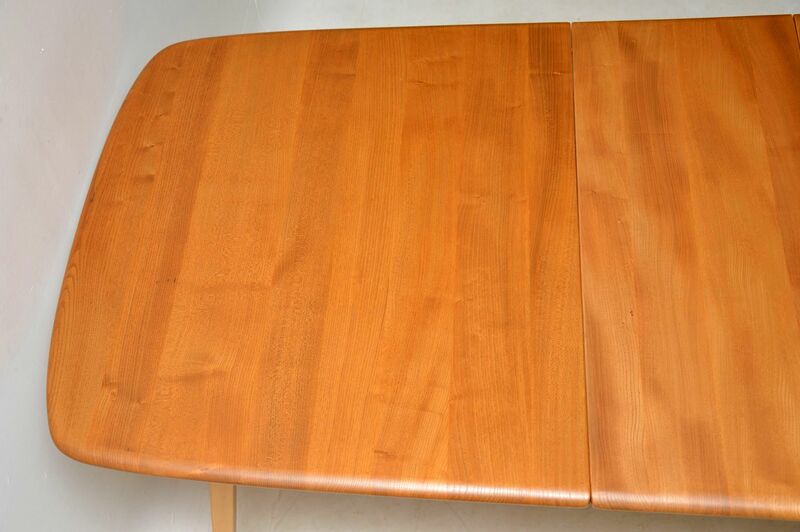 The table comes with a large extending leaf that can be stored under the top when not in use.